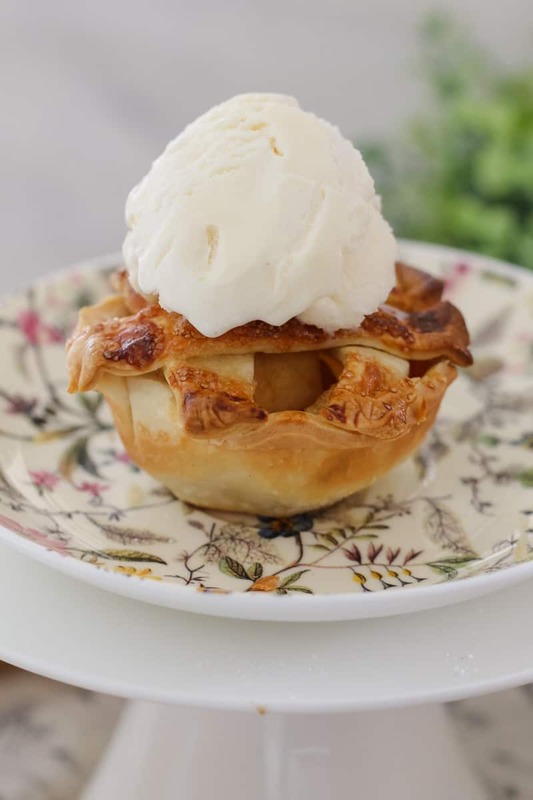 Super easy and delicious Caramel Apple Pies made with crunchy shortcrust pastry, sweet chunks of apple drizzled in caramel sauce… and cooked in a standard muffin tin! Caramel. Apple. 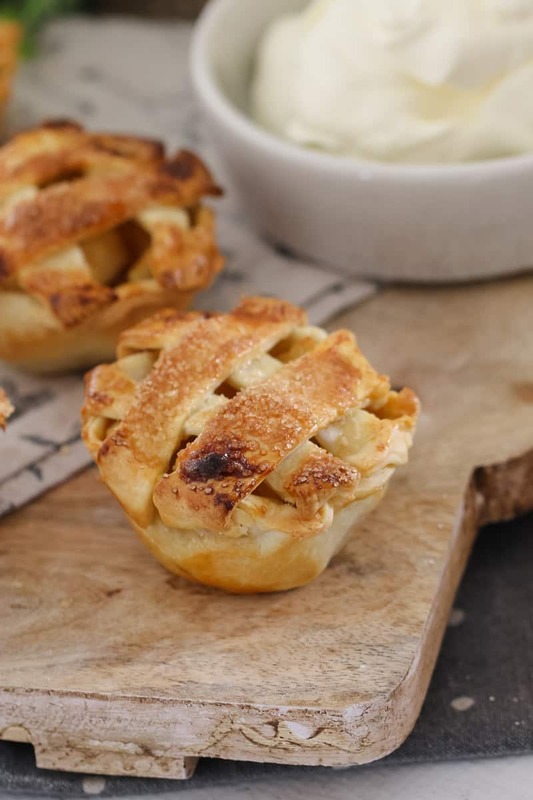 And yummy little pies! Soooo…. 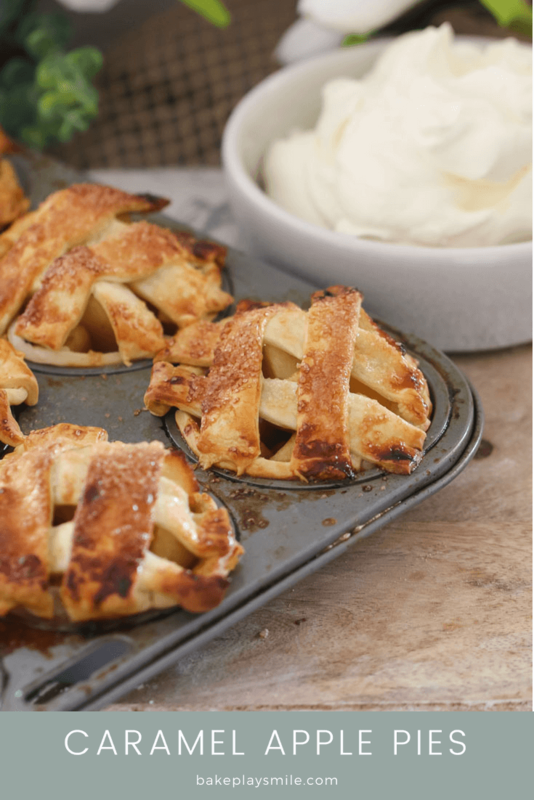 there’s no guessing why these yummy Caramel Apple Pies are always at the top of my ‘must-bake’ list!! 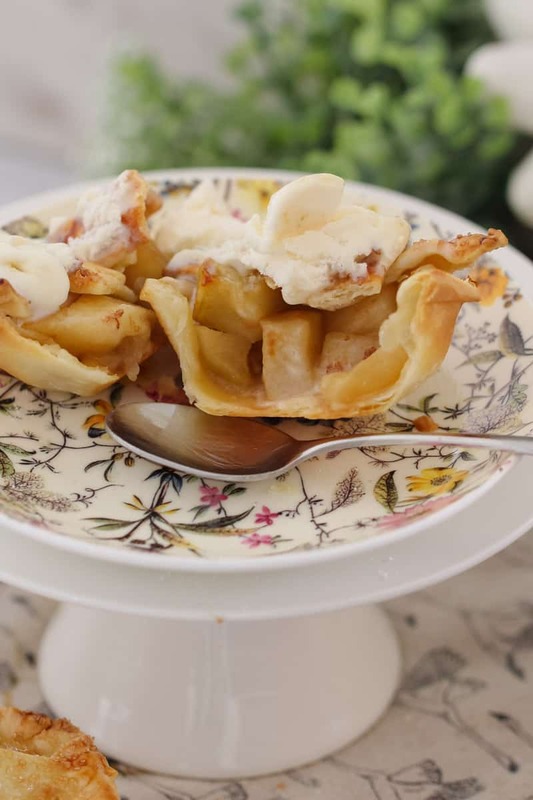 c) the apple is mixed with caramel sauce to give it the BEST flavour ever! And hey, while we’re talking about the caramel sauce that goes into the pie filling, let me just add that it’s almost mandatory to drizzle extra caramel sauce over the top when serving. I say ‘almost’, but I’m thinking that it’s actually completely 100% necessary. More caramel = happy people and tummies. 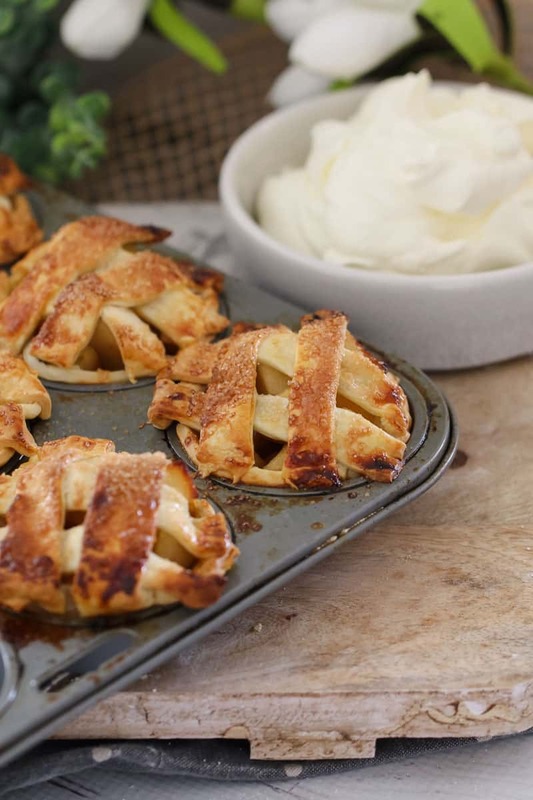 If you can’t eat these pies all at once (whaaaaaatttt!!!?? ), then you can pop them in the freezer in an airtight container. But this recipe does only make 6 pies, so the chance of them making it to the freezer stage is pretty much zilch! 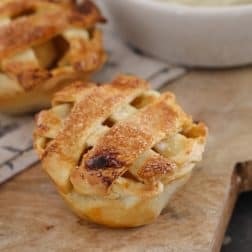 Super easy and delicious Caramel Apple Pies made with crunchy shortcrust pastry, sweet chunks of apple drizzled in caramel sauce... and cooked in a standard muffin tin! Preheat oven to 200 degrees celsius (fan-forced). Lightly grease 6 holes in a standard muffin tin and set aside. Place the chopped granny smith apples, lemon juice, caster sugar and water into a microwave safe bowl. Heat on high for 2 minutes. Stir and continue to heat in 1 minute intervals until the apple has just started to soften. Drain and remove the liquid from the apples. Stir the caramel sauce through the drained apples and place the mixture into the fridge to cool. Meanwhile, cut 6 circles from the shortcrust pastry sheets (large enough to cover the base and sides of the muffin holes). Press the circles into the muffin holes. Drain any excess caramel sauce that hasn't been soaked up by the apples off. Fill the muffin holes 3/4 of the way to the top. 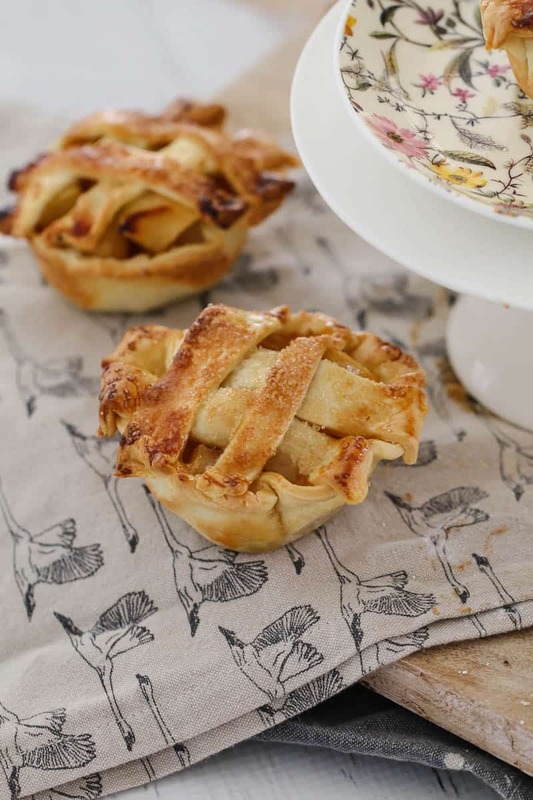 Cut small thin strips of the leftover shortcrust pastry and place over the top of the muffins in a criss-cross pattern. Press the pastry strips into the pastry base. Brush the pastry with egg and sprinkle over some extra sugar. Bake for 25 - 30 minutes or until the pastry is golden. Allow to cool slightly before serving with ice-cream or cream. Oh yum! These look soooo good! 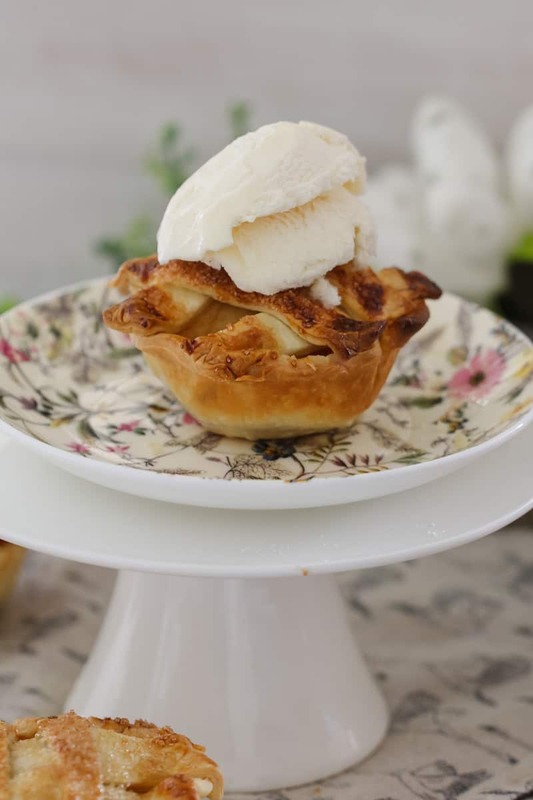 Caramel and apple is a winning combination!